Here Lyeth the body ? Andrew Tilley ? departed this ? 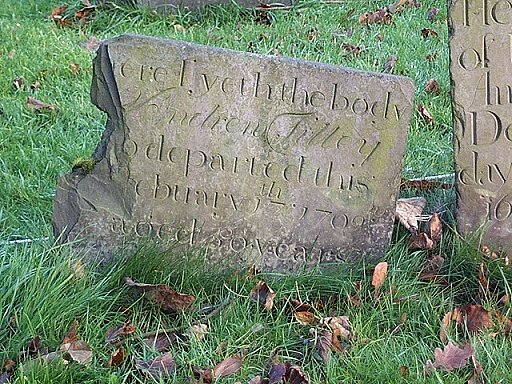 February 17th 170910 aged 50 years.